Low Fuel Light: How Far Can You Drive on Empty? What do you do when your low fuel light comes on? 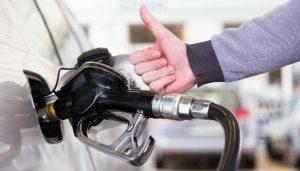 Press Your Luck: How Far Can You Drive on Empty? When the low fuel light flicks on, there are two camps of drivers. There are those who immediately find the nearest gas station. And there are those who have no problem rolling on fumes. The problem is most drivers have no idea how to evaluate how many miles they can go without sputtering to a stop. Let’s take a look at what we can use to get a better idea of the range we have when the low fuel light pops on. Along with a low fuel light, most modern vehicles also tell you how many miles you have left. If you rely on this “distance to empty” reading, know that the trip computer is just guessing. The system has a good idea of how much gas is left, and it knows your average mpg so it makes a simple calculation. Unfortunately, the average mpg the trip computer is using is based on how you have driven the vehicle over a period of time. It does not know what your actual mpg is at the time of the warning. For example, if 80 percent of your commute is on high speed freeways, your average mpg is going to skew on the more efficient highway rating. But if the low fuel light comes on and you are in bumper to bumper traffic with the AC running full blast, your engine is using gas at the less efficient city rating. So when you see a message on your instrument cluster that says you have 48 miles worth of fuel left, don’t bet the farm on making it home without refueling. The computer’s reading is just a rough estimation. How Much Gas Is Still in the Tank? When it comes right down to it, you are the captain of the ship. You decide whether to make an immediate refill at the next gas station or push it to the discount pump across town. To help you make that decision it would be nice to know how much gas is still in the tank when the low fuel light is activated. These Easy Tricks Will Help You Save Gas. Who Doesn’t Want to Save Gas? The website YourMechanic.com has published a list showing the amount of fuel left when the low fuel light comes on for the 50 most popular vehicle models. It appears that with the exception of Ford, most makes average about 2.5 gallons. 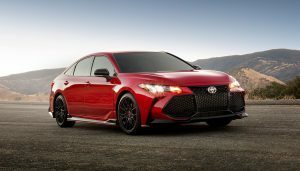 Toyota Tundra has the most at four gallons and the VW Jetta has the least with 1.85 gallons. Ford takes a different approach. Ford sets the magic mark at 1/16th of the tank’s capacity. For a 36 gallon F-150, that would be 2.2 gallons, but only 0.75 of a gallon for the 12 gallon Focus. The best solution for the low fuel dilemma is to avoid it. Stop at the gas station of your choice when you have a fourth of a tank remaining. You don’t have to top off but nudge that needle up to half full at least. And if you’re driving a diesel vehicle, you need to approach your fuel tank with an added layer of precaution. If you don’t want just barely make it to the next gas station and find out they don’t carry diesel. 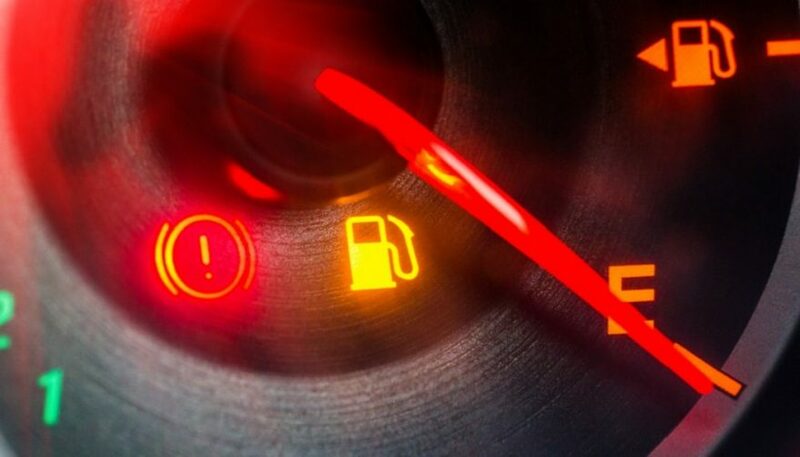 Routinely running your vehicle with the low fuel light lit can result in other problems than just running out of gas. If you drive around with the low fuel light on just to find the lowest price on fuel before refilling, stop. 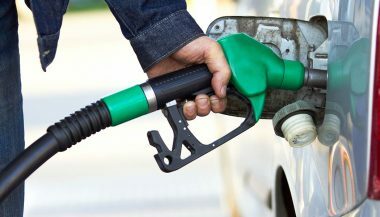 Driving on empty is one of many bad driving habits that damage your car. Today’s fuel pumps sit in the center of the gas tank surrounded by nice, cool gasoline. Gas actually acts as the “coolant” for the electric gas pump. When the gas level is drastically reduced, the pump warms up, accelerating wear. Running on empty also increases the chances of sediments in the tank affecting your system. That sludge is always there, but when there is little fuel the sediment’s “parts per million” count goes way up. Hopefully the fuel filter captures the sediment as it is pumped through the gas line. In that case all you’ll have to do is replace the filter. However if the sediment makes it to the engine, it can clog a fuel injector. This won’t damage the engine but it will make it run less efficiently causing it to burn more gas. Karma works that way. So if you’re driving around on empty trying to save 4 cents on the gallon, you may end up paying a lot more for a new pump. Here’s the take-away. Head for your cheap gas source when your gauge reads says your tank is a fourth full. 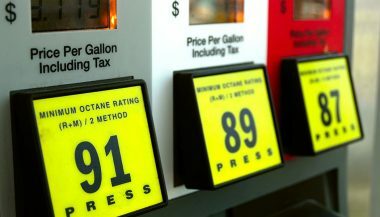 There are apps to help you find the cheapest gas. And there are ways to save gas in general. 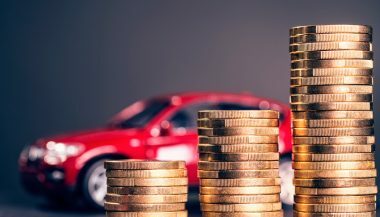 The risk of running on empty and damaging your vehicle isn’t worth it. Nor is the panic that might set in. But, if you are live-and-don’t-learn driver who defies the low fuel light every time, consider a AAA membership as a backup. They will bring you five gallons if you get stranded on the side of the road.